If you want to get faster and more explosive on the field or court, you have to teach your body to move faster than it knows how. 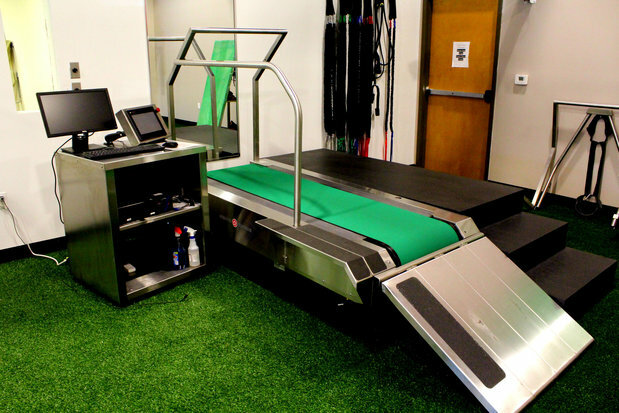 Standard treadmills cannot produce the speed or stability the RTM provides. ; Using our sport-specific protocols, the RTM safely pushes athletes beyond their ground-based training limits by forcing them to work harder and run more efficiently to reach peak speeds and maintain them for longer durations. ; ; With inclines up to 40%, incline running on the RTM forces athletes to run with the same form of an Olympic Sprinter - high knee-drive, quick recovery, a stable mid-section and toes-up ground contact to minimize braking and maximize propulsion. ; This finely tuned training instrument is like nothing you've experienced before and delivers game changing explosive speed to athletes who use it. 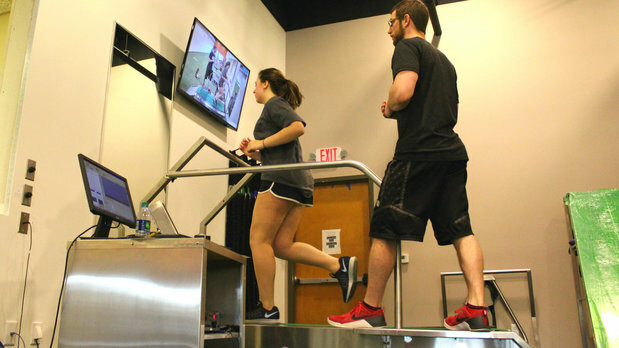 Super Treadmill may look like an industrial version of the standard treadmills available on the market today, but it performs like a finely tuned training instrument. The motor ramps up from 0 to 28 miles per hour in less than three seconds, which means you’ll work harder to keep up as we take you to a speed that is safely just beyond what you thought was your max. You create, with your trainer by your side, a new and more efficient style of running and you can sense the change. Research shows that incline running recruits the muscles responsible for forward acceleration at a level two to three times higher than level running at the same stride frequency; you produce more power during each stride, during both push-off and recovery.